Yooka-Laylee is a game with a backstory that’s almost as interesting as the game itself. Announced on Kickstarter by a collection of ex-Rare devs (and meeting its crowdfunding goal in an astonishing 38 minutes), it promised to revive the long-defunct “3D platformer” by delivering gameplay that was a love-letter to classic Nintendo 64 titles like Donkey Kong 64, Super Mario 64, and—the most glaringly obvious inspiration—Banjo-Kazooie. While I personally think Yooka-Laylee was a resounding success when judged by these intentions, it owes much of its successful reincarnation to its fun, hand-crafted soundtrack. 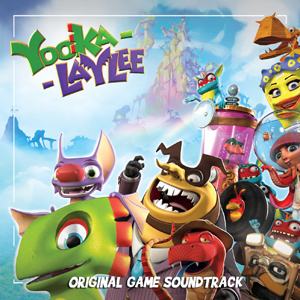 Handled by a holy trinity of veteran Rare composers (Grant Kirkhope, David Wise, and Steve Burke), the Yooka-Laylee soundtrack is packed with decades of experience and polished up by the very compositional minds behind most of the games it was hoping to emulate. The result is a tightly-but-intricately woven collection of tunes that feels like it could have been lifted right out of the 90s—but is simultaneously a breath of fresh air. Just like with any retro classic from the N64 days, the first track you’ll encounter is the Yooka-Laylee main theme: a track that plays while the game waits for you to press “start” and select a save file. The “Main Theme” (credited to Kirkhope) is a musical leitmotif of sorts, invoking main characters Yooka the Chameleon and Laylee the Bat via a combination of ukulele (what else?) and a square-wave-esque pan flute similar to the natural chip sounds produced by the original N64 sound engine. The strumming ukulele sets up a whimsical harmonic structure that uses passing chords, blue notes, and deceptive cadences to soften the outright cheery quality of the C major key, while the flute rings away with a ponderous but hopeful melody that’s sure to get stuck in your head. This pared down, minimalist two instrument approach is not the first time this soundtrack commits to an actual melody, but it’s the game’s best expression of its titular characters apart from their actual 3D sprites. Track two, “Shipwreck Creek” (Kirkhope) signifies the sunny, welcoming vale that the bat and chameleon call home. It begins with a lilting hard sound and the same flute describing a hopeful D major melody, but after a single run is joined by lush strings, fattening the sound and adding an almost military back-beat in the bass that seems to strive to drive the player away from the safety of the duo’s comfortable shipwreck and on towards adventure. While never losing its positive vibe, “Shipwreck Creek” does strike a more grandiose pose than one would expect, introducing the melody in brass and moving into variations as the characters go from lounging at a picnic to chasing after a valuable lost item. This tune, while setting the calm stage of the duo’s home world, is also a foreshadowing of the characters’ coming adventures. Next, we have “Hivory Towers,” (Kirkhope) the theme for the main hub world set inside the factory/conglomerate bad-guy space of the game’s main protagonist, Capital B (yes, he’s a bee). Unlike the bright and vivacious tones of the first couple of tracks, this tune takes a subtler and more Snidely Whiplash approach. It primarily uses a walking/straddling d minor bass line and light but varied orchestration to invoke a sneaky, underhanded sound that nevertheless isn’t too menacing or “competent” sounding—much like Capital B himself. “World 1 Theme” (Kirkhope) sets the mood of the jungle-based first level Tribalstack Tropics, combining the game’s already established melody-carrying flute with elements like steel drums to set the tone of “Yooka and Laylee in the jungle.” This tune modulates through a few neighboring keys without ever really abandoning the home tonic, building slowly from a rhythmic bass line but never getting too wild. “World 2 Theme” (Kirkhope) accompanies the icy Glitterglaze Glacier, and is a personal favorite. Its use of harmonic quartal brass, glittering bell tones, and soft, icy strings perfectly invokes images of a huge, icy wonderfuland. The melody, first introduced on bells, is a slight variation on the Main Theme melody, and leads into big, booming, ponderous brass tones and a slow oboe/bassoon section that builds back up into the main brass segment. 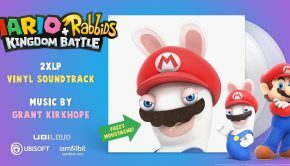 “World 3 Theme” (Kirkhope) is the music for the strange and discombobulating Moodymaze Marsh, and the music reflects this perfectly. Plodding bass notes keep a pace while playful vibraphones seem to mock the characters’ struggles to make heads or tales of the place. “World 4 Theme” (Kirkhope) really stands out from the others due to its mix-up bluesy/jazz style, using soft organ and brass to present an A-B blues design. It again takes advantage of elements from the main melody, spinning them through bari saxophone over a booming walking bass line. It’s really the perfect music for the sleazy vibe of the Capital Cashino level it accompanies. Finally, “World 5 Theme” (Kirkhope) is much more bombastic, erupting with powerful brass and a syncopated, driving rhythm that quickly quiets down into energetic but tense major-key string melodies and playful chimes. It uses a similar melodic styling as the earlier tracks: it’s technically in a major key, and builds a hopeful sound, but skirts passing tones and neighboring minor invocations to create a sense of uncertainty and adventure. Its the kind of bombastic, grandiose orchestration we’ve heard in titles like Super Mario Galaxy, which makes perfect sense for a level called Galleon Galaxy. Next, we have a series of boss battle tunes meant to accompany the final bosses from each of the 5 worlds. “Uphill Battle,” (Kirkhope) for example, plays during a fight with an actual ramp. It wields the urgency and achromatic uncertainty to make the player feel like they’re simply never going to make it, and lots of chromatic up/down runs, which perfectly describe the act of rolling up the ramp as Yooka and falling all the way back down over and over. Each of Kirkhope’s boss tunes—”Frosty Fray,” “Final Beeting” (which, of course, accompanies the final battle with Capital B) expertly encapsulate the vibe and struggle/task of that particular fight, and they’re memorable in their own right. David Wise’s first credited track, “Armed and Dangerous” (track 11), shows off his slightly different style—but it works. It’s a much more industrial sound reminiscent of the factory levels in SNES masterpiece Donkey Kong Country, and puts rhythm and percussive elements first. The mod-wheel heavy melody, which sounds like an electric guitar, is almost definitely a direct homage to the timbre/tone of Wise’s SNES compositions. It’s a shame it’s only briefly sampled, though the track’s dissolution into competing noisescapes is no less rewarding. Likewise, “Track Attack” (Wise) makes use of industrial rhythms/sounds and wah-pedal like guitar elements, again bringing in the dirty, almost sleazy guitar sound. It’s a great backing track to the boss fight in Capital Cashino. Burke’s first credited track, “Skiffy Skirmish” (track 13, and the Galleon Galaxy boss fight) is surprising. While it begins with expectedly tense orchestration and horns calling for battle, it’s also sprinkled with harpsichord and ARP-affected synth sounds. This style continues in “Kartos Karting” (Burke), one of the minigames in Rextro’s Arcade. The blend of classic, chiptune-like video game sounds and tense orchestration is perfect considering the setting. The same goes for “Bee Bop,” “Hurdle Hijinx,” “Up ‘N’ Nova,” “Jobstacle Course,” “Glaciators,” “Blag the Flag,” and “Gun-tlet Run” (tracks 16-22), each of the minigame tracks in Rextro’s. Burke manages to take naturally short pieces that bear constant repetition (unless the player is really, really good I suppose) and keep them sparse and upbeat without relying on singular keys or repeated phrases. While these tracks only have so much room to shine within the soundtrack as a whole, taken as a body of work they’re a fun and rewarding romp through the game’s slice of retro-game-facing pie. 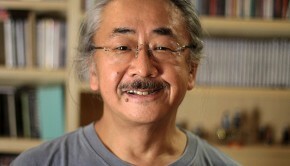 The same can be said for Wise’s “Minecart” tracks (23-27). There are Kartos-based minecart races based around each of the game’s 5 main worlds, and they’re a fun study in variations on the physical elements (jungle, ice, marsh, uh… casino… and space) found in each world, as well as making for solid reinterpretations of some of the harmonic structures and instrumentation wielded by Kirkhope in his composition of the main world themes. While each track is quite short, they possess Wise’s signature flair for large-scope harmonies that inspire and provide hope: big blocks of reinforcement shifting seamlessly amongst dancing bits of flavorful instrumentation borrowed from the main world themes. The 38-track album wraps up with a two-variant per world approach, each track composed by Kirkhope. As the Glitterglaze Glacier music is my favorite, I was especially fond of track 32, “World 2 Variant 2.” These world variant tracks feel almost like a special reward for attentive listeners and music enthusiasts (and rightly so, as theme and variations are like a delicious musical dessert). These final variations strip away much of core harmony and lush orchestration of the world tracks, leaving their bare and minimalist essentials. The fact that they still hold up and—in some cases—are more striking/emotive than the fully realized world themes is simply a credit to Yooka-Laylee‘s soundtrack as a whole. The Yooka-Laylee original soundtrack is, first and foremost, rooted firmly in the hey-day of Rare music (and how could it not be, when handled by Kirkhope, Wise, and Burke?) 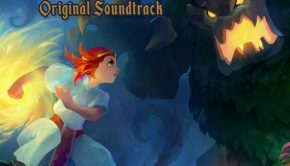 This soundtrack dares to cling to major harmonies and clear, innovative melodies in a world of video game soundtracks steeped in ambiance and orchestration that swells to epic proportions without really saying anything. Am I a bit biased from growing up smitten with the music from the games Yooka-Laylee seeks to spiritually succeed? Maybe a little. But even without nostalgia goggles, a close listen to the Yooka-Laylee soundtrack is rewarding. 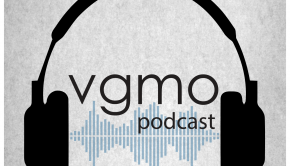 The composers manage to create programmatic music that puts you right in the scene, be it a muggy jungle, a forebidding glacier, or a sandy, sunny shipwreck nestled in a gentle creek. From fully orchestrated boss battles to zipping, chiptune-style minigame tunes, this soundtrack is the perfect accompaniment to the game, but may be a bit manic at times if you’re listening to it standalone, without reference. That said, it’s also ripe with rewards for listeners willing to comb through and connect the themes of characters and worlds with their variants and boss battle counterparts. This soundtrack is as much a celebration of the power of programmatic musical collaboration, and the painting of mental imagery via music, as it is the steadfast friend of a lizard and a bat and a snake in a hat. Posted on June 8, 2017 by Lee Neikirk. Last modified on June 8, 2017.